What if the rumored iPod refresh includes Wi-Fi, cellular, and Apple Music? That would rock. The iPod was Apple’s original rock star. Back before the iPhone became a global sensation and the iPad led the post-PC revolution, the iPod was the device generating long lines and record-breaking sales. Apple’s annual music event–where the latest in iPod technology was unveiled to much fanfare–created enough buzz to sustain sales for the next 12 months, and its popularity was such that it created a so-called halo effect that spurred sales of Apple’s other products, namely iMacs and iBooks. Even when its would-be assassin was announced at Macworld San Francisco, Steve Jobs stressed the “widescreen iPod with touch controls” aspect as one of its three tentpole features. In fact, it was the very first thing we learned iPhone could do, and Steve waited a full 12 seconds until the applause died down and he could tell us the new device was also a phone. And even then, most people just wanted the touchscreen iPod, which Apple delivered a few months later. But while the iTunes Music Store was specifically targeted at iPod users, it was the App Store that pushed the iPod out of the limelight. By the third-generation of the iPhone, the iOS iPod icon had been supplanted by a more generic Music one, and eventually the annual iPod refresh became an appetizer to the iPhone entree. It hasn’t seen a significant update since 2012, and just last month it unceremoniously lost its tab at the top of Apple.com too, fittingly to Music. But while it may seem that Apple has all but forgotten the iPod, the launch of its streaming music service might have the company singing a different tune. Apple Music is tailor made for the iPods of yore, and it just might be the thing that breathes new life into its line of personal players—which are rumored for a refresh next week. Had Apple had the foresight and influence to release a streaming service alongside the iTunes Store in 2003, it would have sold more iPods than it could make. The freedom, versatility, and exploration built into Apple Music is made to follow you wherever you go. From Beats 1 to the hand-curated playlists and myriad offline listening selections, Apple has put tremendous thought into how music lovers want to listen. The iPhone is a large part of it, of course, but your library will travel to all of your devices, whether that’s a MacBook, PC, Apple Watch, Apple TV, iPod, or eventually even a Galaxy S6. Even an iPod shuffle could get some Apple Music playlists. It’s about the experience. The very first commercial for the iPod showed a young adult listening to music on his Mac, transferring it to his iPod and picking up the same song as he danced out of the door. At the time it was a novel concept, but in today’s world, having tens of millions of songs at our fingertips isn’t exactly revolutionary. Still, what elevates Apple Music is the package, much like the iPod was all those years ago. Apple has always used its services as a way to lock in customers to its ecosystem–once you have two devices operating in concert with iCloud the odds of switching drop substantially–but Apple Music is different. Not only does it mark the first and only foray into the world of Android (not counting the fatalistic Move to iOS app), it’s put a focus back on music as a tenet of Apple’s ecosystem. And with music, comes the iPod. It’s no coincidence that some sleuths have found new iPod images hidden in the latest version of iTunes. But while a new set of colors–gold, darker blue and darker pink variants for each of the models–might give sales at least a small shot in the arm, Apple Music presents an opportunity to truly give the iPod a reboot. If the first-week enthusiasm is any indication, Apple has hit a high note with music fans, combining its trademark design with unique features like hand-curated playlists and a global radio station to deliver an entertainment system that’s head and shoulders above its competitors. The iPod touch runs iOS, which means it's ready-made for Apple Music. But Apple could make it even better. 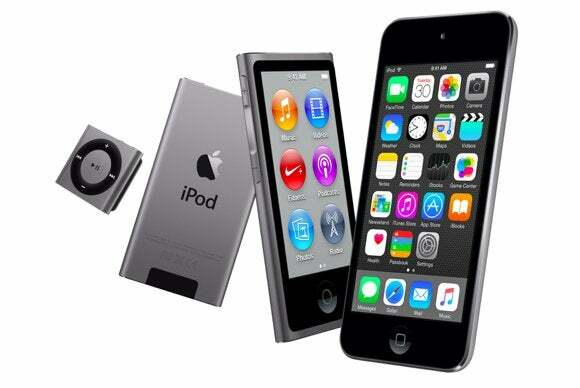 But pairing it with the new iPods would open up Apple’s new streaming service to a whole new demographic. No matter how many iPhones Apple sells each quarter, there are still large swaths of the population who don’t buy them. And while Apple would have a hard time directly targeting all of them, there is one group that it can reach: kids. Or, more specifically, their parents. Based on most surveys, iPhone usage doesn’t generally start until the teen years, but I f someone were to track iPod sales, I suspect they skew to tweens and school-aged children. You could argue that Apple Music’s most enticing feature is the $14.99 family plan, which allows up to six people to use the same account. And since Family Sharing has opened up iTunes accounts for kids under 13 (with restrictions, of course), the whole household can enjoy Apple Music for a very affordable price. Apple hasn’t marketed the iPod as a fun, cool device since the days of the silhouette ads, but it might be able to pump up sales with a new campaign that positions the iPod as the ultimate Apple Music player. The iPod line is very clearly delineated by features, and Apple doesn’t need to shake things all that much to each model more attractive. The iPod touch is already a perfect device for non-iPhone users, but it could certainly stand to be brought into the new generation. It’s the only model Apple sells that is powered by the lagging A5 chip, and it wouldn’t hurt to add LTE either, giving it true parity with the iPhone. The iPod nano and shuffle have always been music-centric, but a tight tie-in with Apple Music could bring them back to their get-up-and-go roots. If Apple could fit the nano with a 4G chip strictly for music streaming (much like Amazon does with its Kindle e-readers), it could be an always-on gadget that puts not thousands of songs in your pocket, but tens of millions. While the streaming service was clearly the main motivation behind Apple Beats purchase, there’s a whole other aspect of the company Apple owns, too. And while the Solo and Studio headphones are the source of much ire among audiophiles, they consistently rank among the top-selling models for both iPhone and Android users. 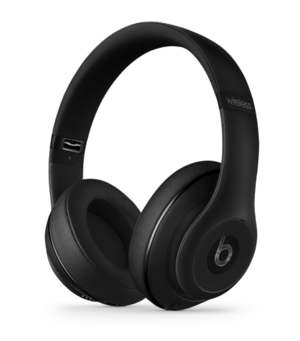 A line of new Beats headphones with Apple Music streaming or storage built in would be huge sellers, I think. So while I don’t think we’ll be seeing an Apple logo replacing the trademark “b” on the ear cups anytime soon, I could see Apple making a special Beats+iPod model that integrates an iPod shuffle into the body of the headphones. With built-in WiFi and Bluetooth, Apple could eliminate the need to carry any other devices on your run, seamlessly syncing your latest playlists without even needing to fumble with dragging and dropping from iTunes. It could be a major selling point once the Android app lands. Without the benefits of Siri and the iOS ecosystem behind it, the Android version of Apple Music won’t add much more than Spotify or Rdio doesn’t already offer. And when you factor in the staunch anti-Apple sentiment, breaking through won’t exactly by easy. Apple Music may be one of the best streaming services around, but it’s still hard to see many Android users switching to iPhone because of it. But the backing of Beats could help in that regard. Apple Music may be built on the foundation of Beats Music, but aside from the radio station, there isn’t anything within the app that ties it to Dr. Dre’s iconic brand. A special-edition version of the headphones that integrate directly with Apple Music would go a long way toward soothing some of the hard feelings Samsung and Motorola users have toward the iPhone and Apple in general. Music has always been integral to Apple’s mission. 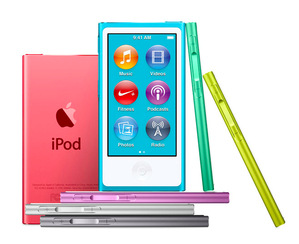 A large part of why the iPod was such a spectacular success was that it was a labor of love. Steve Jobs wanted an elegant, modern way to travel with his digital music collection, and his vision helped craft an original, unique device that can be traced to nearly every product we hold dear today. Apple Music might not be as revolutionary, but it marks a conscious return to the company’s focus on music. People will argue that Apple is playing catch-up with its streaming service–and perhaps it is–but using Apple Music doesn’t feel like a me-too product. From Beats 1 to the carefully crafted playlists and aggressive family pricing, it’s clear that Apple has taken pride and care in developing Apple Music, and going forward, it looks to become a major component of its ever-expanding ecosystem. And it sure would be fun if Apple took the iPod for one last ride on the tour bus.